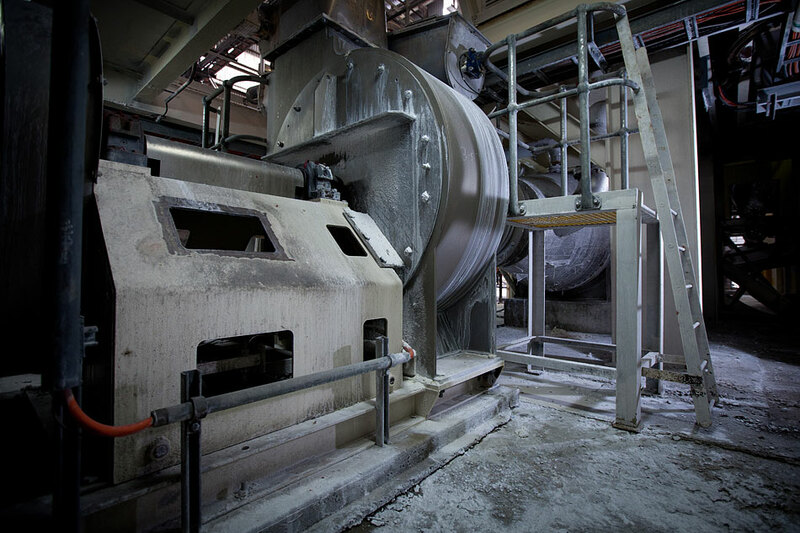 This project included 3D modelling to determine the positioning of 22 screw conveyors, design of conveyors, tanks, associated walkways and steelwork, manufacture of 200 tonne and 120 tonne bicarbonate silos and installation of all the equipment. Material used: Grade 304 stainless steel, duplex 2205 and carbon steel. 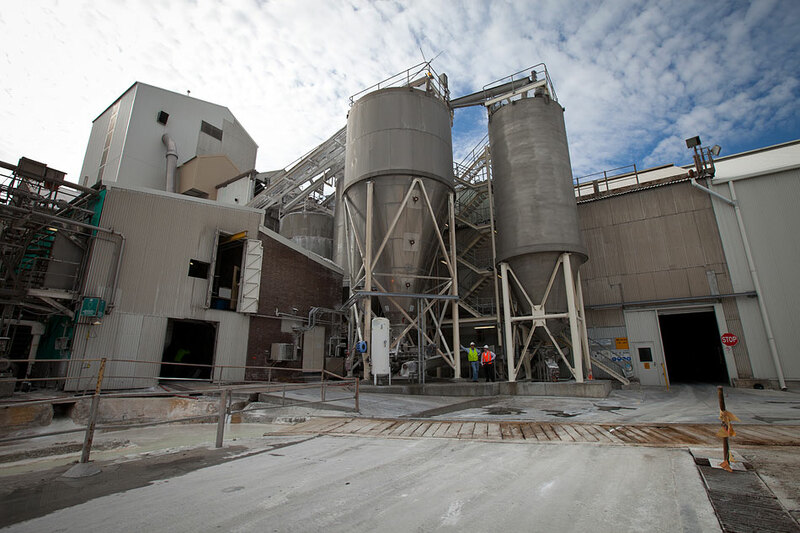 Lend Lease commissioned Miller's for the design, detail drafting, manufacture and transport of 13 acid slurry tanks manufactured from grade 304 stainless steel. 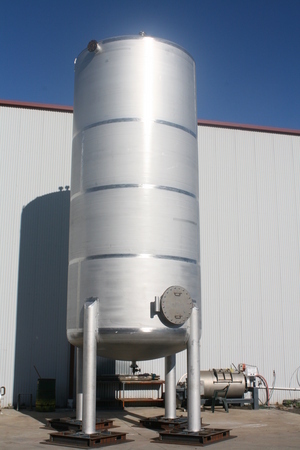 These tanks ranged in size from 100 litre to 45,000 litre capacity. These vessels were designed and built to AS1692 and AS1210. The MDR for this project included 2 new weld procedures, all welders were qualified in these procedures, complete welding map, complete material trace and a very comprehensive ITP. 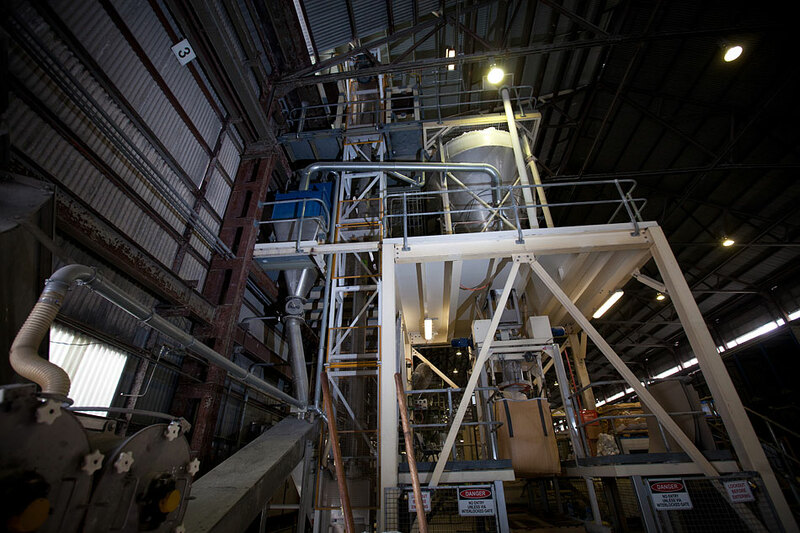 A great Australian success story, Orica engaged Millers to manufacture a mobile auger loading system for the transport of ammoniam nitrate at a discharge rate of 45 tonnes per hour. 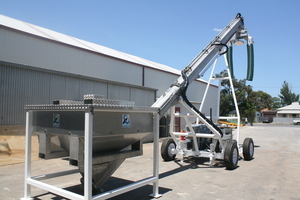 The system consists of a stainless steel receival hopper which is loaded with bulker bags of ammoniam nitrate, which is then conveyed to a discharge height of 4 metres. The auger tube conveyor, which is also manufactured from stainless steel, is driven by a diesel generator coupled to a hydraulic drive system which raises and lowers the conveyor and supplies the power for the hydraulic drive motor which is coupled to the auger. 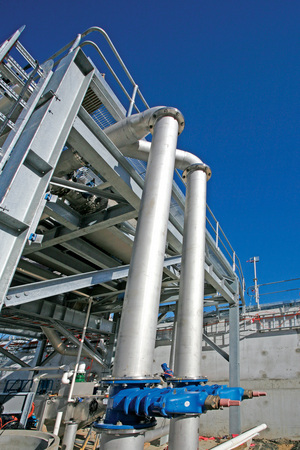 The first was to manufacture and supply pipework required for the waste water treatment facility, using grade 316 stainless steel. These pipe sizes ranged from 100 to 400 nominal bore. The work was built to AS4041 class 2B. 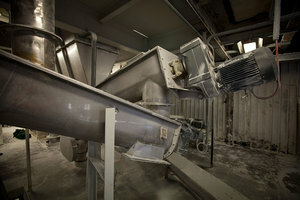 The second was to manufacture components from grade 316 stainless steel, including chutes, ductwork, baskets and brackets. Fabrication and welding was done to AS1554. 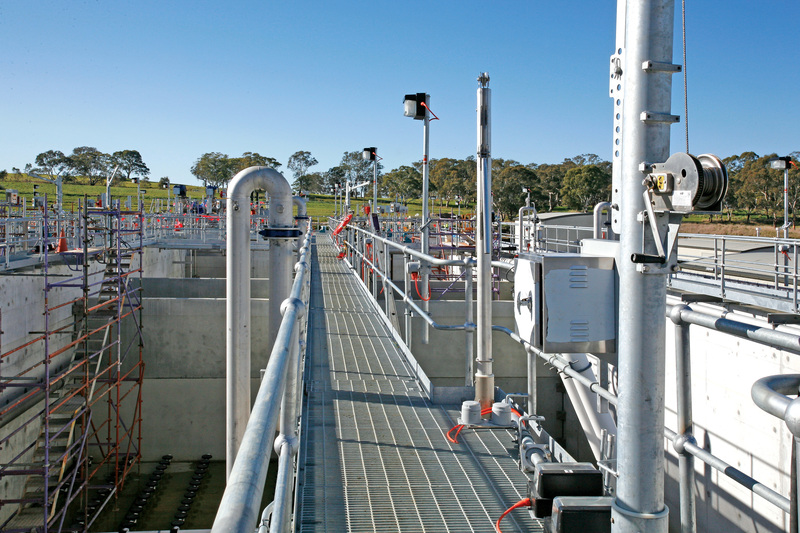 The final component of our contract was the fabrication and welding of tank access platforms and walkways, including stairs, handrails and support structural steelwork.